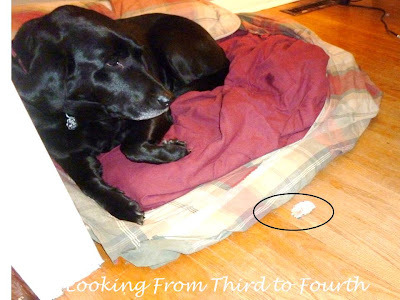 It's Tuesday and that can mean only one thing - time to link up with Holly for Tried it Tuesday! I decided to use photos of my family posing in some staged scenes. I took pictures of my girls with their Easter baskets - one happy -one sad - depending on how full their baskets were. I also took this pic of our dog with the wrapper in front of her and a guilty look on her face. Lastly I took a pic of my husband on the kitchen floor, eyes closed, wrapper on his chest. What did one of my kiddos infer - he had fallen out of bed!! Do you see the bag of garbage (lots of Easter weekend garbage) needing to go out - do you think I keep that in my bedroom, where is the bed!!! 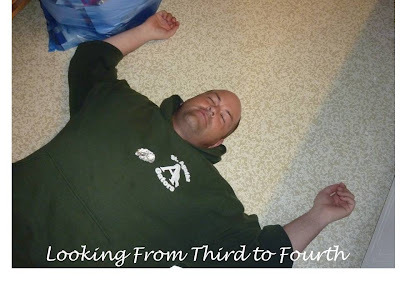 I also use the photos from Rachel Lynette's Pinterest board - Inference with Pictures. She is so great she includes questions under the photos. I also used this video. We made inferences about how the cloud is feeling, how the stork is feeling and some predictions about what is going to be created! It is a great video because there is no dialogue - we had to use picture clues and our schema to infer!!! 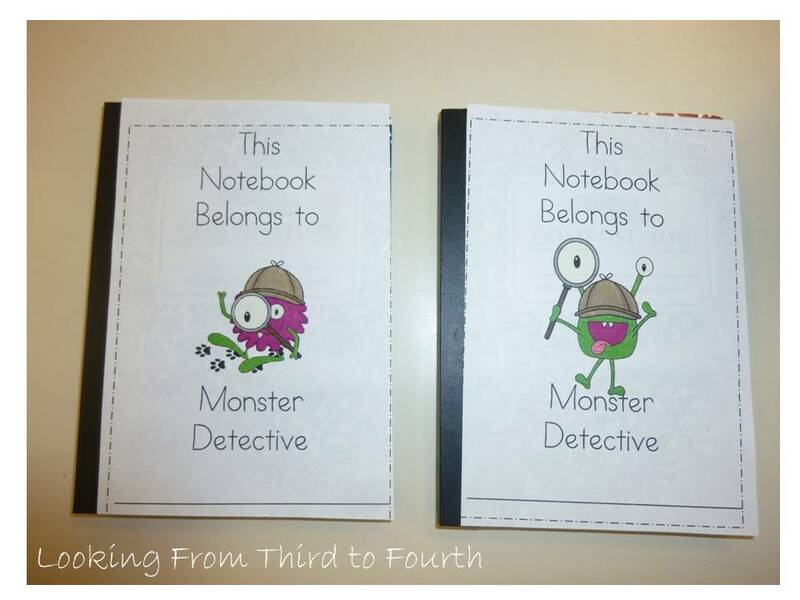 My students take out their Monster Detective notebooks (idea from Joanne at Head Over Heels for Teaching) and record their inferences. Then we share! They need to use a sentence starter and cite some evidence. We are working on taking their quick ideas and turning them into sentences with a lot of support. Then we are moving on to picture books - using text and picture evidence. Check yesterday's post to pick up a free copy of the notebook labels. Make sure you hop over to Holly's to check out all the other ideas being shared this week! I love the variety of ways you taught inferencing...a very tough concept. I've always thought that photos and video are an excellence source for students to work on making inferences. I use it as much as possible with mine. Too many times kids aren't taking the time to really analyze and understand exactly what is being shown. I love the idea of teaching inferring through pictures. 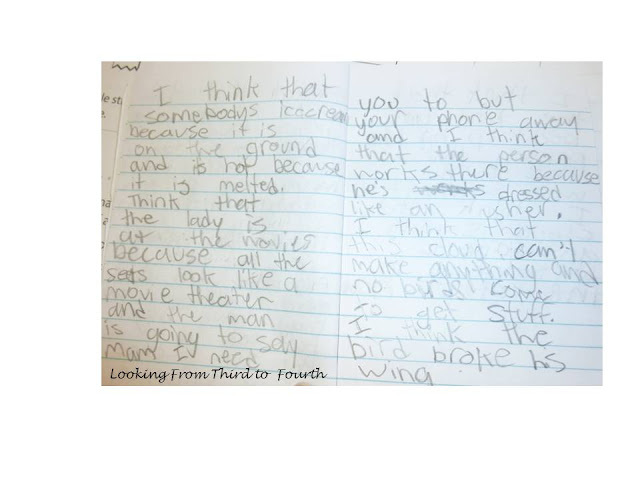 So many kids would benefit from the chance to write an inference with evidence without the difficulty of decoding and unpacking a piece of text first. Great scaffold! Great ideas. I have never used pictures or videos for inference. I will have to give it a try. Thanks for sharing! Thanks for all the great ideas! I'm already pinning ideas for next year! I've never seen those videos! Thanks for sharing-might use this next week! And, thanks for the shout again! I hope they're a hit in your classroom! 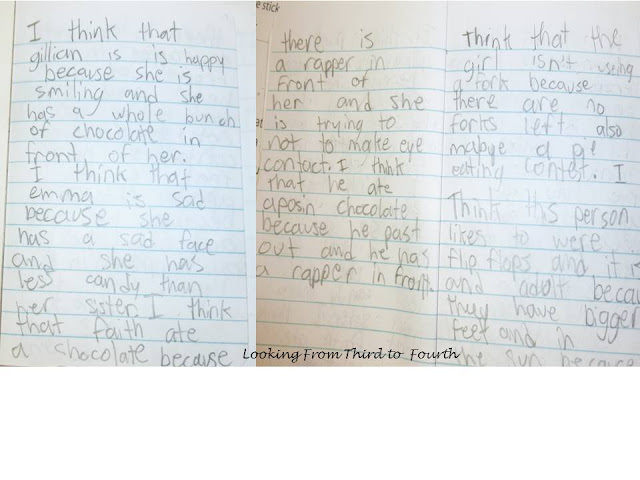 I love this idea of using pictures to make inferences! I bet your students love the pictures of your dog and hubby:) Thank you so much for linking up!